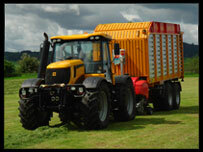 We are Agricultural Contractors based near Macclesfield. in Cheshire and surrounding counties. With farming currently facing an uncertain future, Agricultural Contractors provide the farmer with a cost effective and useful alternative for many of their farming operations. We can provide a complete, or part service. 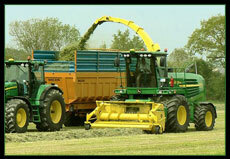 In addition, you can buy used tractors from John Deere, Claas and foresty equipmnet by us. 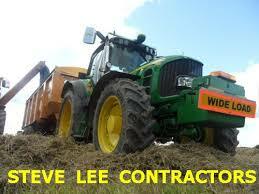 With our vast experience and competitive prices we at Dales Contractors aim to provide the best service possible. Why not take a look at the services we offer and see how cost effective we can be? Or better still, why not drop us an e-mail.